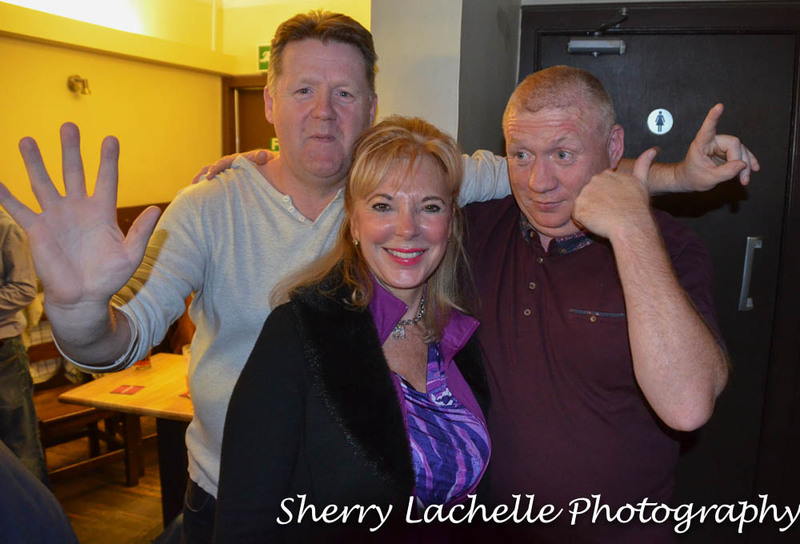 My friend Teresa and I, having arrived from Dublin, Ireland to Edinburgh, Scotland in the late afternoon, decided to check out a local pub right down the street from our Airbnb, called “The Grapes”. When we first walked in, it was apparent we were outnumbered by the males, only seeing a couple of other females. We bought a glass of beer because that’s what you do in Ireland and proceeded to talk to a few of the friendly looking men standing around also with beer in hand (well not in this photo). 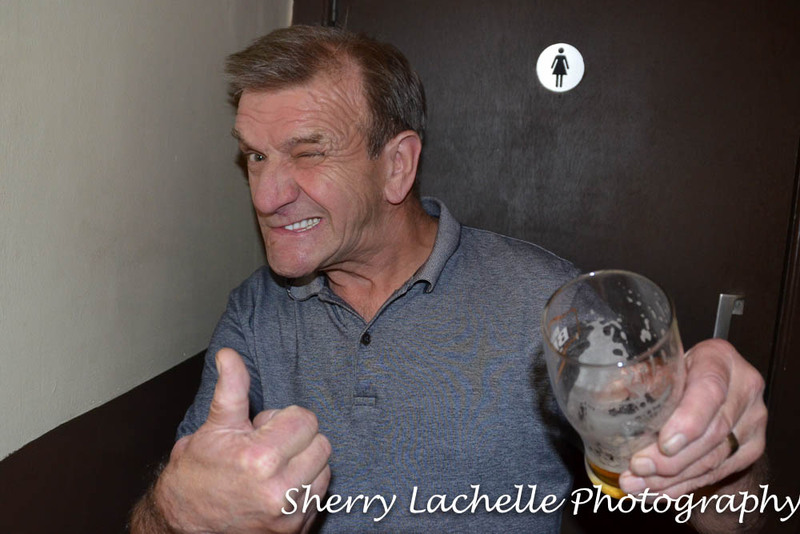 I asked this gentleman to pose for a photo in front of the lady’s room and I swear he looks just like Popeye! We only stayed an hour or two, but danced most of the time! It was a great way to start our four-day adventure in Scotland! These Are the World’s Friendliest Cities–Can You Guess Which Spot Came Out on Top? 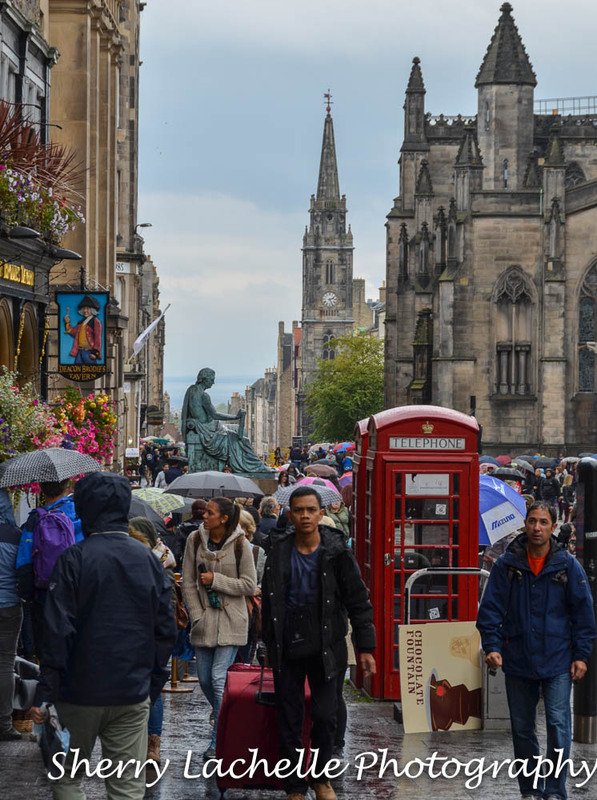 One of the best ways to explore any city’s architecture is by walking through its streets and Edinburgh has such a diverse and interesting mix of architecture, you’ll forget your feet are beginning to hurt! I’m definitely not an expert on architecture, but I know what pleases my eye and camera. 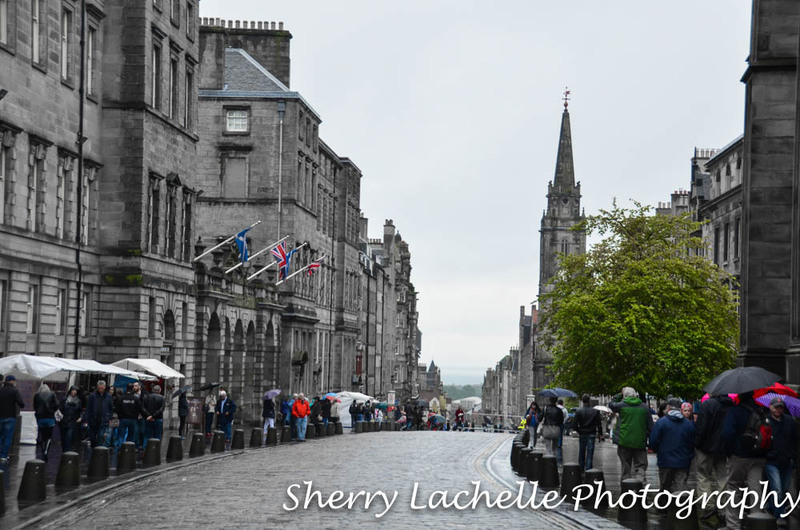 The following are some photos from Old and New Town Edinburgh, which were made a UNESCO World Heritage site in 1996. 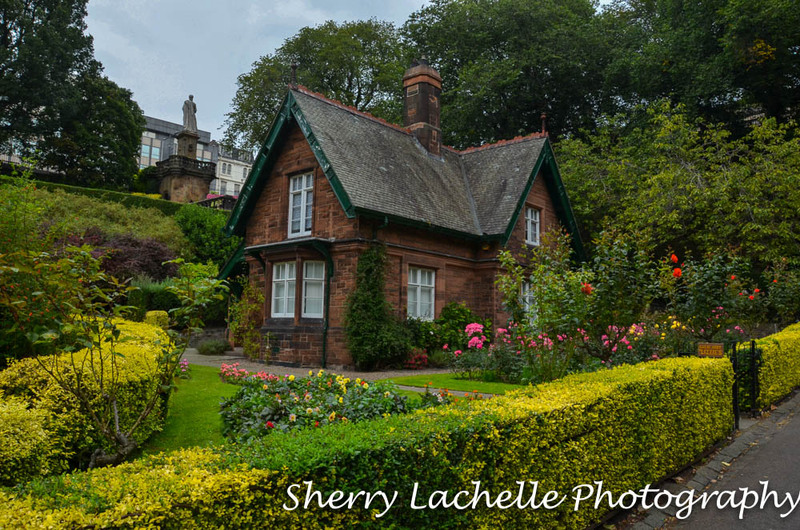 This cute little house is situated in Princes Street Gardens, which lies between the Old and New Towns of Edinburgh. A lovely place to take a stroll! 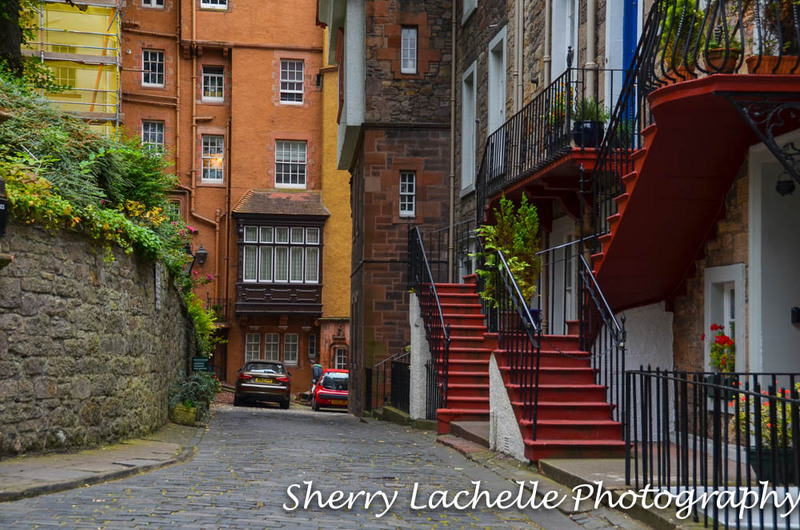 I encountered this colorful scene while walking downhill from our visit to Edinburgh Castle. There is nothing particularly “special” about this shot, but the blue definitely pops and I find it visually appealing. 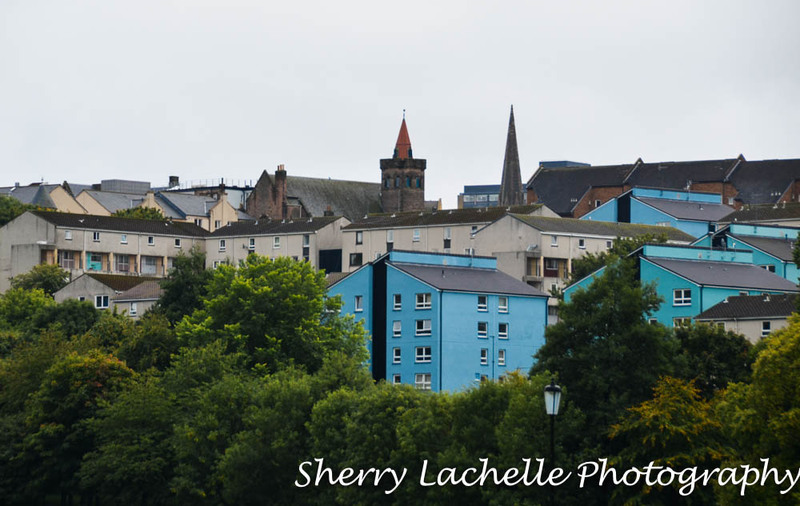 Row of buildings in Old Town Edinburgh as seen from the divide between the Old and New Towns. 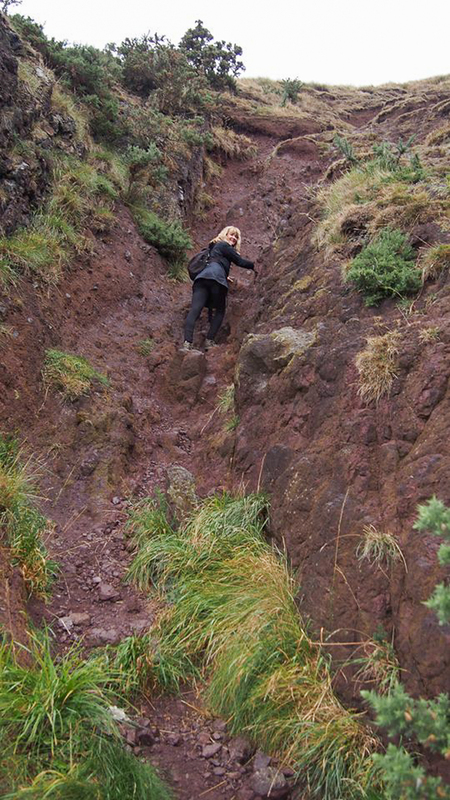 Climbing Arthur’s Seat in Edinburgh was high on my list of things to do while in Scotland and early in the morning on our last day there, my friend and I walked 10 minutes from our Airbnb to do just that! 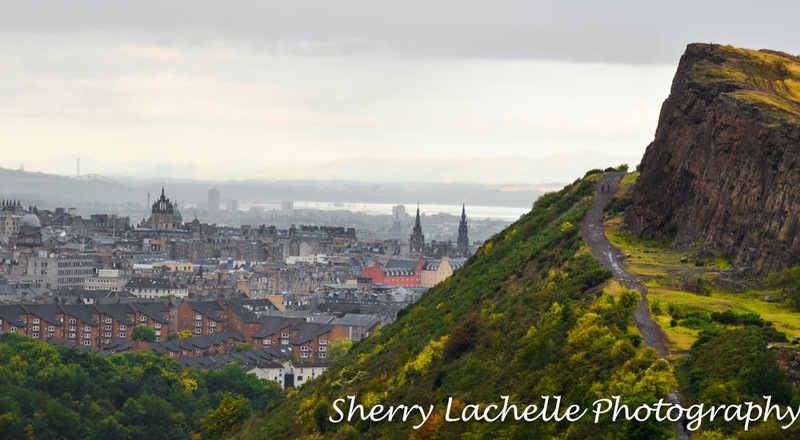 Located a mile from the Edinburgh Castle and standing 822 feet above the City, the views are breathtaking! This is the highest we got because it had drizzled and was a bit slippery and the route we chose to hike was a bit more like rock climbing. But the view of the city was spectacular! My friend Teresa took a photo of me with her camera navigating my way up the steep hill and she remarked that she wasn’t as worried about going up as she was with coming back down. 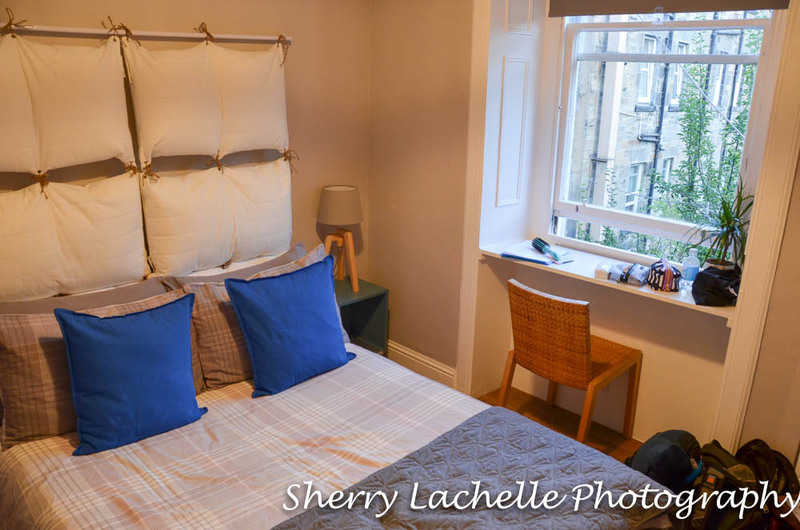 For day three of our four-day stay in Scotland, I scheduled a day trip (12 hours round-trip) from Edinburgh through Rabbie’s Tours for a journey to Loch Ness, Glencoe, and the Highlands in Scotland. They take smaller groups (16 and under) on their tours which provides a more intimate experience. 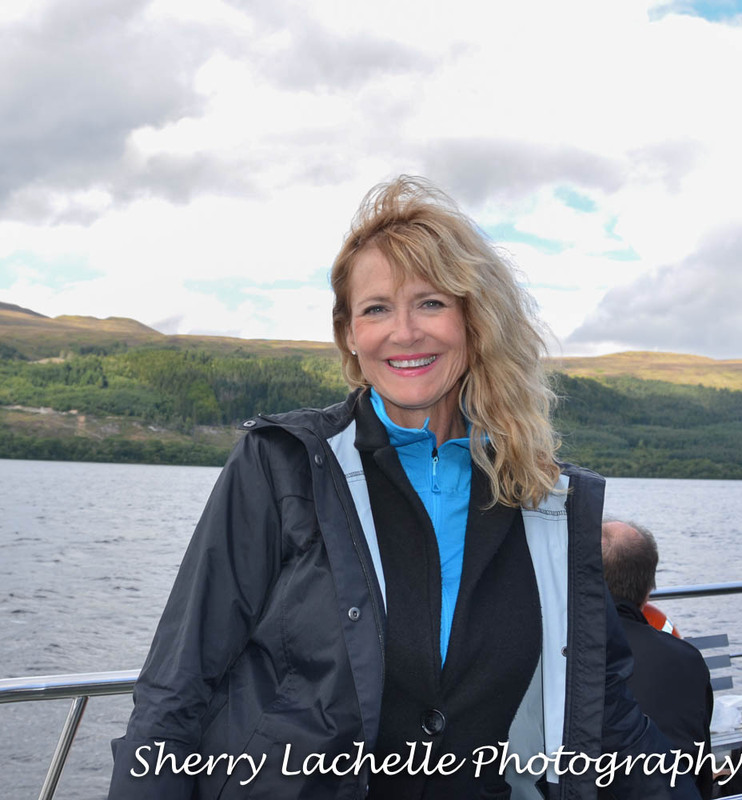 Here I am on the boat ride (an additional cost) on Loch Ness. I purchased a new rain coat that was both functional and stylish for the trip and it came in handy a number of times, although we had wonderful weather for the most part! 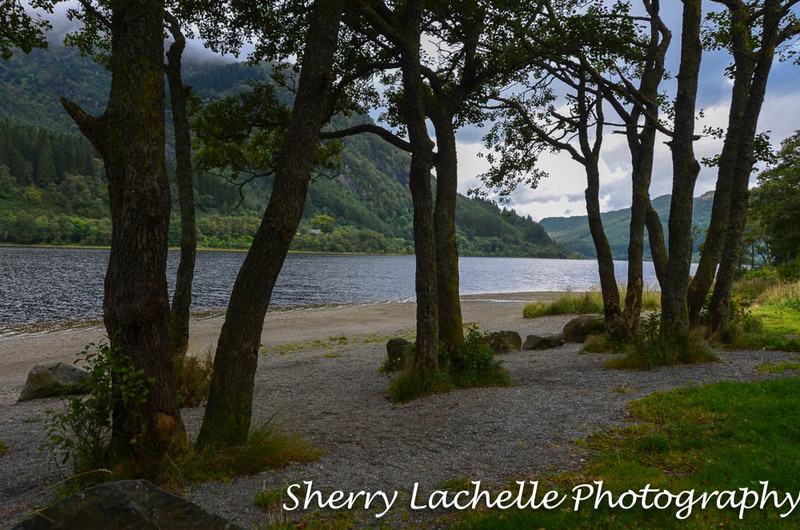 Our first stop was at one of the many “lochs” (lakes) along the way before reaching our final destination of Loch Ness. 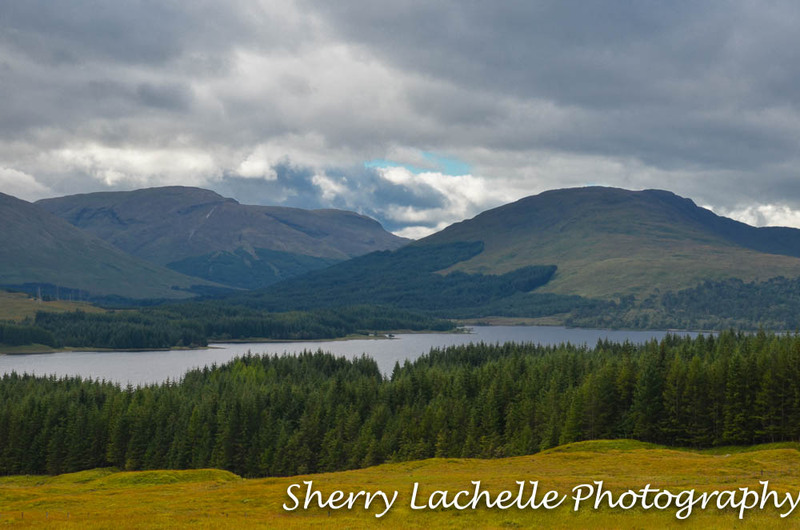 Traveling North over the flat fertile plains of the lowlands eventually gave way to shimmering lochs, rugged mountain tops and forest-filled glens. 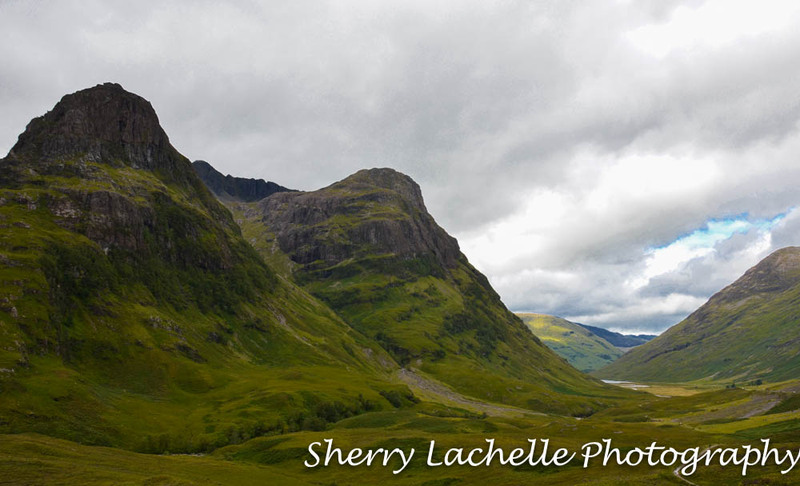 The knobby hills (the Scots call them mountains) rose dramatically over the lush green glens in the most famous of them all, Glencoe. The area is very popular with hikers and rock climbers. Glencoe was the home of Hagrid from Harry Potter and was also the backdrop for a James Bond film. Upon arrival to Loch Ness we were greeted with beautiful blue skies! 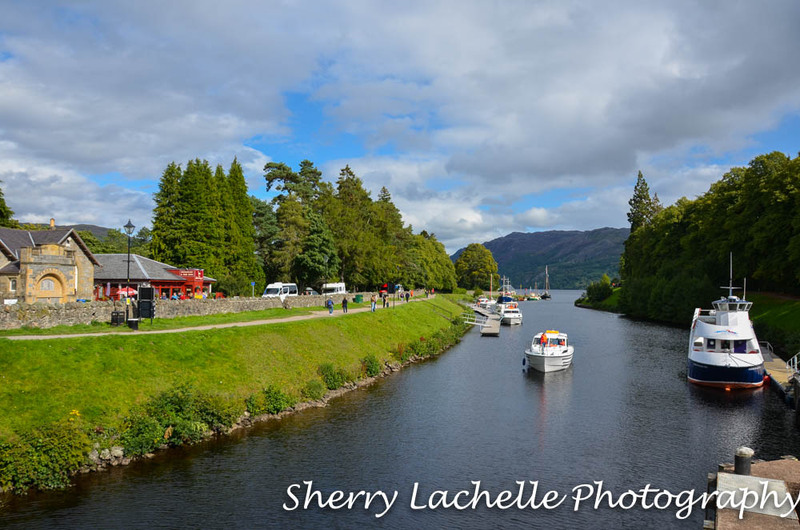 The larger boat on the right is the one my friend and I took a ride on for spotting Nessie. Edinburgh Castle is Scotland‘s most visited paid tourist attraction and sits upon an extinct volcano. The castle has undergone so many attacks during it’s 1100 years of history, it is the most besieged place in Great Britain and one of the most attacked in the world! 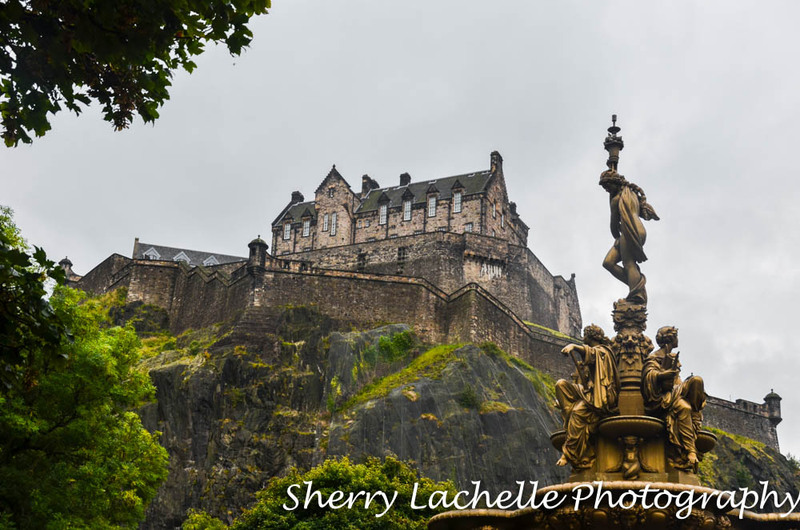 I captured these photos after touring the Castle and walking down toward Princes Street Gardens. Having researched The Royal Mile in Edinburgh, Scotland before my trip, and checked out some photos of it, I have to say it’s even more beautiful in person! 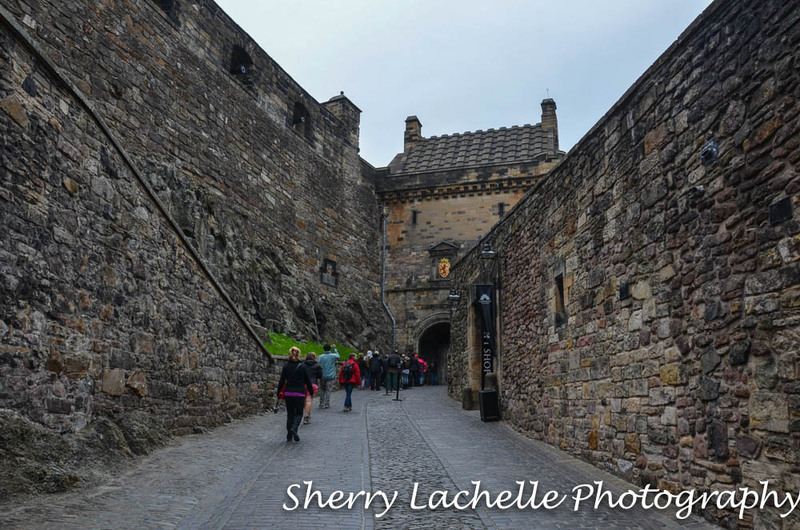 It stretches from the Edinburgh Castle to the Palace of Holyroodhouse, hence the name. A little known fact, at least to those who don’t live in Scotland, it’s actually a bit longer (.12) than a normal mile, because it’s a Scot’s mile. 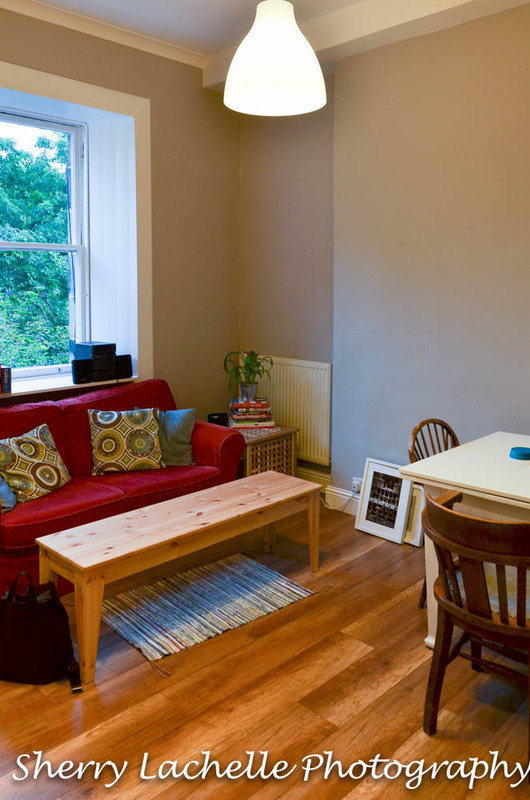 After spending four nights in Dublin, my friend and I flew on Ryan Air to Edinburgh to explore for four days. The architecture can only be described as being Grand and the City is filled with so much history! Compared to Dublin, the City of Edinburgh is much hillier and to me more interesting. 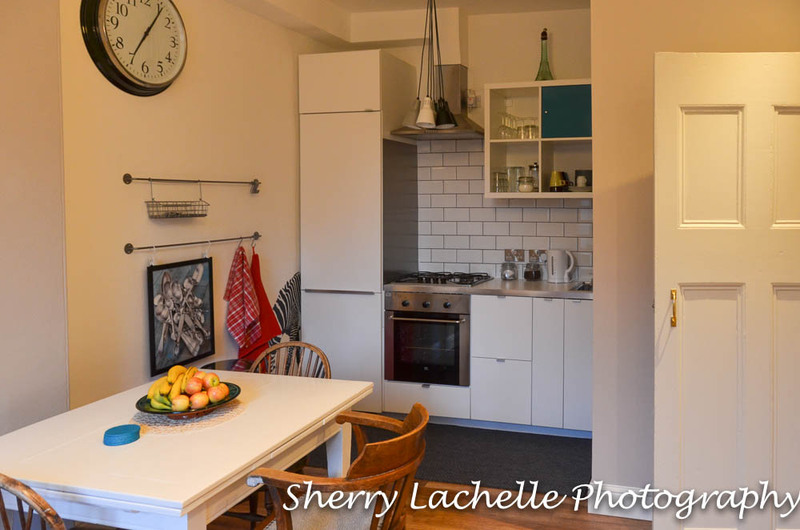 Breakfast was included with the rental and the owners made sure to keep it stocked with yogurt, cereal, milk, fruit, bread, etc. The weather was overcast much of the time, and rained for part of one day, and drizzled a bit another day, but nice the remainder. The umbrellas are nice for photographing!